MTX joins Sounds Rad to release a multi-media album. 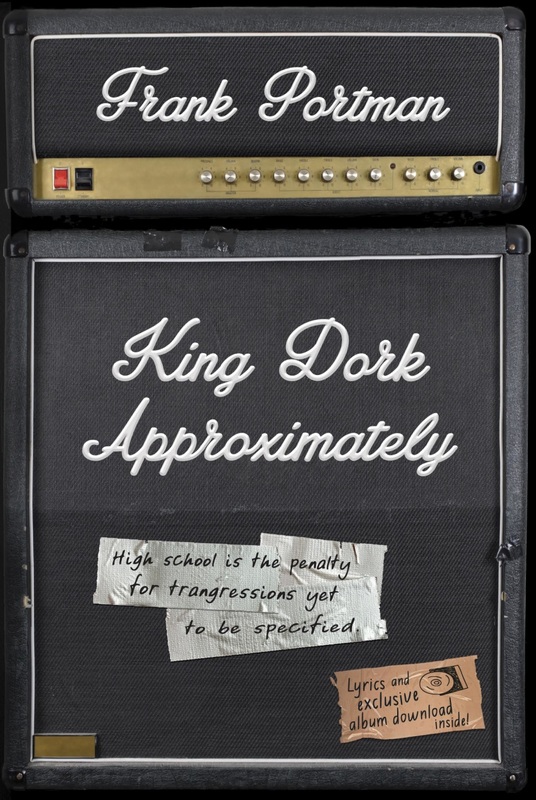 Sounds Rad is excited to announce the upcoming multi-media project for "King Dork Approximately the Album" by the Mr. T Experience (MTX). This six-month project will include a mix of media including two music videos (09/20 and 10/4); paper-back edition of "King Dork Approximately" by (Dr.) Frank Portman with a special digital MTX album (10/04), featuring 12 songs "written" by the book's narrator, Tom Henderson and performed and recorded by Dr. Frank's very real band MTX; a new web-store featuring exclusive merchandise, and the release of a deluxe gatefold vinyl edition of the album (04/18). Our goal is to transform a digital release by adding a bit of physicality to the virtual album experience. This innovative multi-media project begins with the September 20th, 2016 release of MTX's new single and music video, "Cinthya (With a Y)" through Sounds Rad, i-Tunes, YouTube and a host of online music publications. The video offers a preview of one of the standout songs on the forthcoming album. "Cynthia with a Y" is a fun and memorable hit that is a hallmark of the Mr. T Experience's carefully crafted sound. There will be another single released on the publication date (10/4), "High School Is the Penalty for Transgressions Yet to Be Specified," along with a video/short film directed by filmmaker Jonathan London. Beyond these two songs, the rest of the album will be exclusive to the book download till general digital release in January. For the publication of the multi-media novel, we've put together an exclusive MTX store. For the October release, we are offering Frank Portman's novel, "King Dork Approximately" with a frameable insert of the original, never before published book cover designed by legendary artist Frank Kozik and signed by Frank Portman. In addition to the Frank Portman's latest novel, we are also carrying his complete collection of works, and a variety of t-shirts, pins, stickers inspired by the book, album, and band. Early next year, a deluxe vinyl edition of the album will be released featuring a beautiful gatefold cover with the first 200 on gold vinyl (signed by the band) w/ downloadable Dropcard of the full album plus a few other surprises. In the meantime, MTX has a whole slate of shows planned throughout the U.S. in support of the project (a full list can be found on the Sounds Rad Event Page). King Dork Approximately by Frank Portman with free digital album. Paperback edition of King Dork Approximately that includes a special Frank Kozik designed insert signed by Frank Portman. This edition also includes an instant download of a special concept album entitled, "King Dork Approximately" by (Dr.) Frank Portman's band the Mr. T Experience featuring songs inspired by the book. Dr. Frank's Tom Henderson mix to get you in the mood. Stay in touch by joining the mailing list for a monthly email w/ info, discounts, and more! And don't worry, we only send out an email ONCE per month.